In-home piano lessons for kids and adults in NYC. A creative, dynamic and fun approach to traditional music lessons! Each of our students is carefully matched with a talented teacher who can work on any style of music: classical, pop, jazz, indie...whatever you or your child is most interested in! Many of our students choose to learn to write, sing, play and record their own compositions while learning how to play the piano, while others learn to play scales, standards and songs they know and love. Our team of talented teachers work with total beginners as well as those who are interested in taking their playing to the next level. Does Blue Balloon have a studio? No, we come to you! If your apartment is small, don’t worry…we will make it work. If you would like to have lessons in an instructor’s home studio or a rehearsal space, just let us know and we can make all the arrangements. Do I need to buy an instrument? 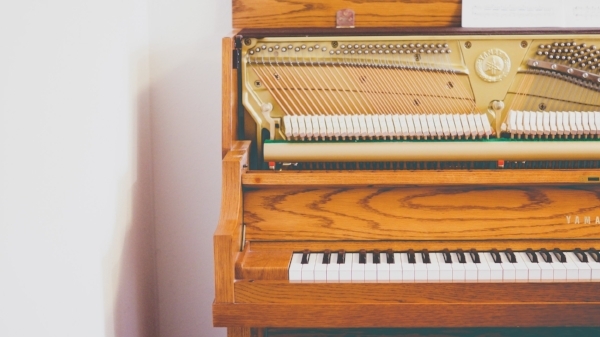 If you are having your lessons at home, definitely, but don't feel like you have to invest in a piano right off the bat. We have lots of great keyboard recommendations of various sizes and price points, so just ask and we'll send you suggestions! Kids ages 3-18 sign up for a semester-based lesson package. We reserve a time slot in a teacher’s schedule for your child based on school year semesters. We definitely can get students started mid-semester and most students continue year after year. Lessons are usually after school or on weekends. Depending on age and other factors, lessons can be either 45 or 60 minutes once or twice a week. Adults usually do a 1-hour lesson once or twice per week on weeknights after work or on weekends. Weekday daytimes are also a possibility for those who have a flexible work schedule. We hire the most fun, dynamic, teachers and musicians around. Most of our teachers teach both kids and adults. You can read about some of them HERE! Will I have the same teacher every week? Yes. We want you or your child to have a consistent experience and develop a strong bond with your teacher. In the rare event that you need to reschedule (with more than 48 hours’ notice) or if a teacher is sick, we’ll always be sure to have another teacher available to keep the momentum going. We put a very big focus on hiring superb teachers. All teachers are put through a rigorous interview process and background checks are done on every single one of them. Rest assured that we will be sending a really great teacher as a substitute should the need for one arise.